Be sure to have a look through the Mildura Palimpsest Biennale #10 Highlights Package. Click on the view and download link to the right. All artist pages have been updated. Click on the Artists & Thinkers link above to see work from Mildura Palimpsest Biennale #10. Unmapping the End of the World: is art a time machine? Article written by Daniel Browning for ABC Radio National Earshot. National Gallery of Victoria, Clemenger BBDO Auditorium, St Kilda Road, Melbourne. Walking to the End of the World by Liza Power, The Age. Rupert Myer AM, Chair, Australia Council for the Arts. 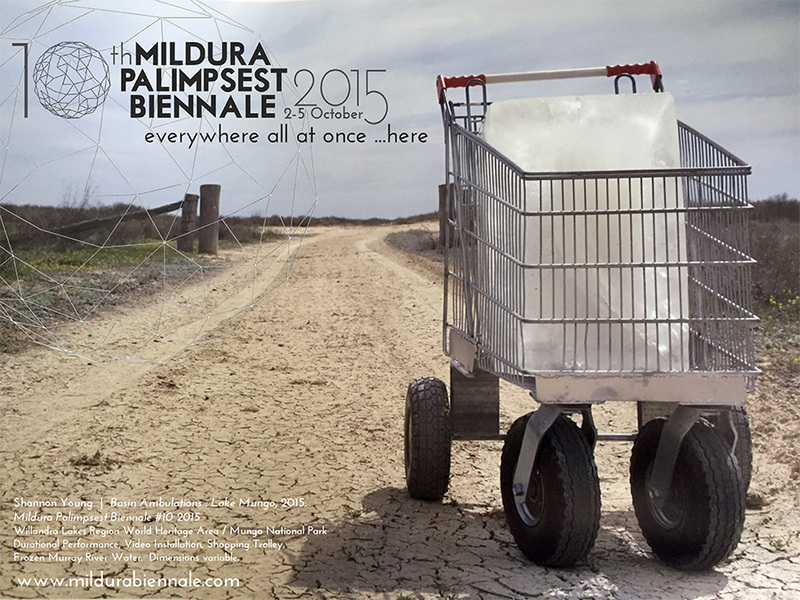 MILDURA PALIMPSEST BIENNALE #10 IS A MAJOR INTERNATIONAL CONTEMPORARY ART EVENT. More than 70 artists from many nations around the world and across Australia.